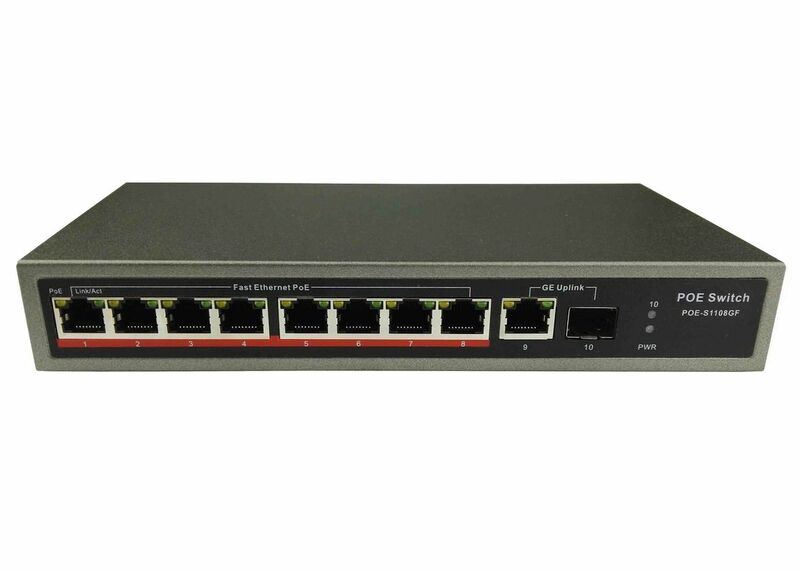 POE-S1108GF is 8 port fast Ethernet unmanaged Power over Ethernet switch with one Gigabit RJ45 uplink and one Gigabit SFP uplink, IEEE802.3af/at compliant and equipped with 120W built-in power supply which enables it to work with different powered device such as IP CCTV Camera, Wireless Access Point, Voice over Internet Protocol Phone, Portable Device, Intelligent LED Light, etc. 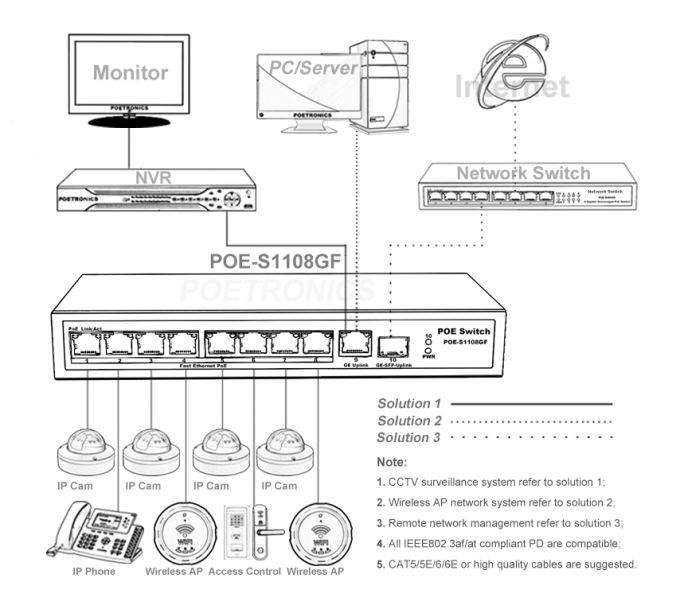 There are also three different operating modes switchable for POE-S1108GF which include Normal free communication, VLAN port isolation and Super remote transmission for IP CCTV monitoring system. Users can choose one of those 3 working modes as required or according to actual condition. Compliance with IEEE802.3af/at, IEEE 802.3, IEEE 802.3u, IEEE 802.3ab. Auto MDI/MDIX, Store-and-forward, 5.6G bandwidth. Max 30W for a single port, total rated output power 120W. PoE working status can be read and analyzed through LED indicators on front panel. IP-CAM: Effectively improve video fluency in data transmission in this special system mode, specially apply to IP CCTV Camera.